“Drayton”, Gunnedah - 1,100ha furrow irrigated cotton and maize. “Warilea”, Narrabri - 630 ha furrow irrigated cotton. Tamworth Regional Council - 14 centre pivots (610ha) for sewage effluent re-use. “Auscott”, Narrabri - 4 x 220ha lateral moves for cotton. Yeppoon, QLD - 30ha above ground drip for banana and nut trees. Gladstone, QLD - 3 x 150ha sub surface drip for Jojoba. Yambocully Creek, QLD - 10,000ML per year. “Warrambool”, Wee Waa - 264,600 cubic meter embankment storing 1600ML. “Auscott”, Narrabri - 3 x 650mm volute centrifugal pumps reservoir pumping station, 4,200 L/s. State Water, NSW - 3 x 500mm axial flow pumps emergency pumping station, 3,500 L/s. Buddah Lake Group Irrigation Scheme, Narromine - Reinforced concrete cut-throat flume with ultrasonic water level detection and automatic recording for flow measurement up to 7 cubic meters per second. “Cubbie Station”, Dirranbandi - 2m high steel pile and timber weir on the Balonne River and 2m high reinforced concrete weir on the Culgoa River. Narrabri - 1.5m high x 300m long reinforced concrete weir across an urban floodway. “Federation Farm”, Narrabri - Project Management of construction of effluent re-use farm. “Llanglothen”, Bundanoon - Design and specification for 19 ha of solid set sprinklers for effluent re-use on Pasture. “Keytah”, Moree - Structural Failure of reinforced concrete pumping station. Narrabri - Preliminary design and feasibility for a 186,000ML per day flood bypass channel around the township. “Carlton”, Walgett - Levees to protect 1,260 ha of irrigated cotton. Preparation of course notes and assessment questions for “Irrigation Design and Farm Layout Principles” for the University of New England for a postgraduate course “Cotton Production”. 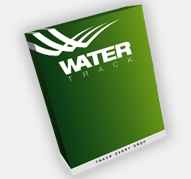 Multiple training sessions and workshops on Irrimate™ and WaterTrack™ to both small and large groups. Environment protection Authority (EPA) of New South Wales - Preparation of draft Environmental Guidelines for the Management of Irrigation Farms. Preparation of Environmental Impact Statements and Review of Environmental Factors for proposed and existing irrigation projects involving large scale surface irrigation, above ground water storages, canals, levees, etc.